The ladies over at Luxarazzi recently did a great write-up on this Luxembourgish brooch, which was originally a diamond epaulette, meant to be worn on the shoulder of a man's dress uniform. Today, it's one of the almost too-huge jewels donned by the ladies of the grand duchy, especially as it's frequently paired with the enormous Empire Tiara. A brooch doesn't have to be enormous to pack a major sentimental punch. You'll often see Crown Princess Mary of Denmark securing the back of her order sash with a small diamond brooch in the shape of the letter "F." That is, of course, the first initial of her husband, Crown Prince Frederik. It's said that this little brooch first belonged to Queen Ingrid -- whose husband, of course, was also named Frederik. The only thing better than a gorgeous diamond is a gorgeous, rare colored diamond. The central pink diamond of Queen Elizabeth II's Williamson Brooch weighs more than 23 carats. It was a wedding present from Canadian geologist Dr. John Williamson; Cartier later made it the centerpiece of this diamond and platinum brooch. One of the oldest diamond brooches in the Windsor collection is the large round brooch that belonged to Queen Adelaide, wife of King William IV. He ordered it for her from Rundell and Bridge in 1830, and she wore it at their coronation in 1831. The diamonds were even older, having been previously set in King George III's Order of the Bath insignia. This piece is now an heirloom of the crown and has been worn by every queen, regnant or consort, since. When Princess Ingrid of Sweden married Crown Prince Frederik of Denmark in 1935, her father, Gustaf VI Adolf of Sweden, wanted to include Ingrid's late mother in his wedding gift. He had a brooch made for his daughter using some of the diamonds that had belonged to his late wife, Crown Princess Margareta. Her nickname was "Daisy" -- hence the brooch's shape. 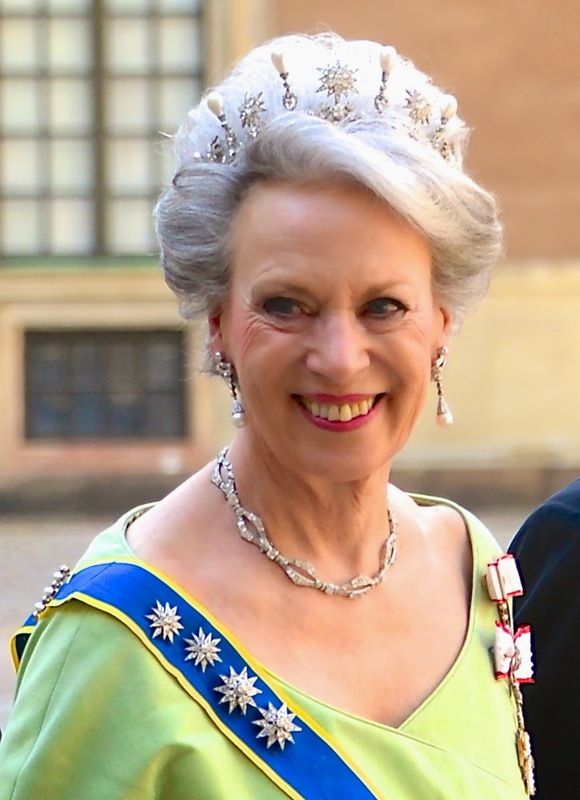 Appropriately the brooch now belongs to Ingrid's daughter, Margrethe, who is also nicknamed "Daisy." You can read much more about the brooch over here! Part of the impressive Brazilian diamond parure, this gorgeous diamond floral brooch came to Sweden in the nineteenth century, when Queen Josefina inherited it from her sister, Empress Amélie of Brazil. Queen Silvia often wears this brooch pinned to her order sash, but you'll occasionally see her wearing it in her hair. 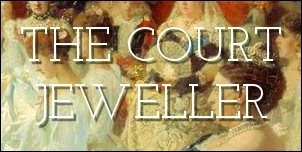 We're still not sure exactly what has happened to most of the jewels that belonged to the late Queen Fabiola of Belgium -- either the major pieces were quietly dispersed among family members before Fabiola's death, or she left the lot to charity -- but we do know the fate of this intricate diamond waterfall brooch. Queen Mathilde now wears the antique piece, giving many jewel lovers hope that other pieces of Fabiola's collection have also found their way into Mathilde's jewelry boxes. For me, the royal brooch still worn these days that can trump a Cullinan is the complicated diamond bow brooch from the Dutch royal family's house parure. Part of the set that includes the famed Stuart diamond, this brooch was hidden away in the vaults for years, but recently, Queen Maxima and Princess Laurentien have started wearing various pieces of it again. We still haven't seen the full brooch on display, but I can't wait for the day when Queen Maxima surprises us with it!